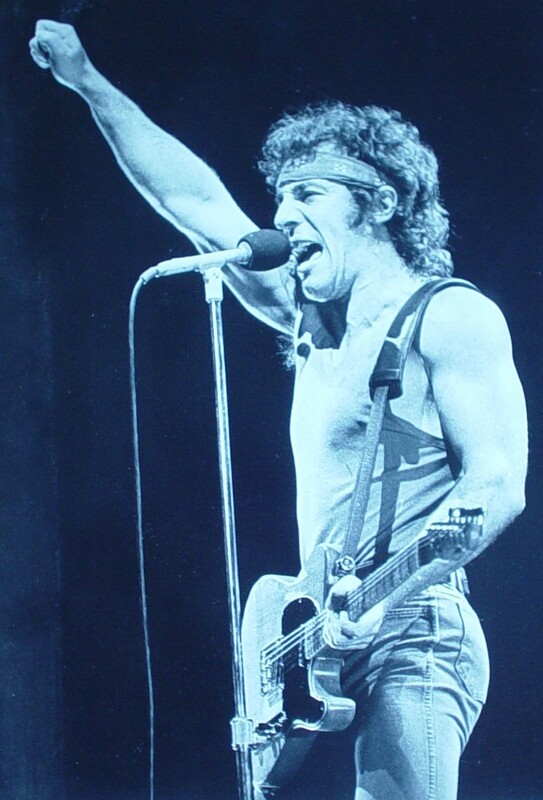 For thousands of fans who piled into The Summit in Houston to see Bruce Springsteen and the E Street Band on Nov. 30, 1984 it was just another concert. However, for me, it was a night that changed my life. As soon as The Boss yelled “One, two, three, four” and went into a blistering version of “Born in the USA” I knew I wanted to be a singer in a rock and roll band. The show was phenomenal. His energy was incredible. 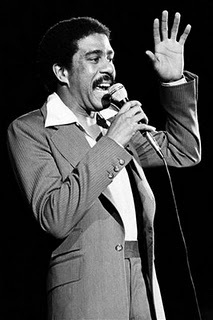 We heard everything that night; “Jungleland,” “Racing in the Street,” “Thunder Road,” “Johnny Bye Bye, “Cadillac Ranch,” you name any of his best songs and we saw them that night. I thought the roof was going to come off the building when they went into the “Detroit Medley.” It was the best the concert I had ever seen. The next day my brother and I were in the garage with a couple of other guys putting a band together. I was playing drums at the time, but one day I decided to try my hand at singing. The first song I sang in front of people was “Dancing in the Dark.” While it wasn’t even close to great, it felt great. Since that time I have been in three different bands, and have been the lead singer for two. While I haven’t experienced 1/1,000,000th of the success of Mr. Springsteen, the experience of writing, recording, performing and singing has enriched my life in more ways than I can count. I thank Bruce for that night and for giving me the inspiration to do what I always knew I wanted to do, but never had the courage to try. REPOST: Another one we get requests for, believe it or not. Santa Claus is an embodiment for Satan. Have you noticed he is all about Desires? Give up the desires of the flesh and repent of your sins! Ha, ha, not really … I got that off a religious website. What are these dudes smokin’? Santa is not Satan – in fact, he’s the anti-Satan. I know, because I saw this movie on TV once, Santa Claus, and it was made in Mexico. Lucifer was pissed at Santa for some reason so he sent his emissary, Pitch … look at the clip below, that’s Pitch doing an interpretive Evil ballet. He and those other devils dancing around, they look kind of … ah, flaming. 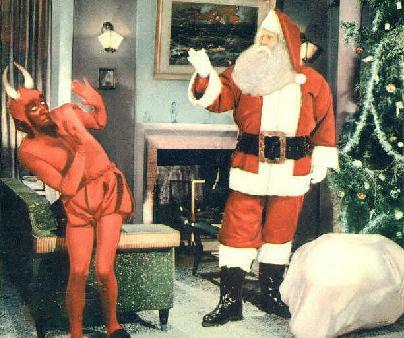 There were no masked wrestlers around to foil Lucifer’s Evil plan, so Santa had to do it. Anyhow. The thing is, even at a time like Christmas when we’re supposed to love or like (or pretend to like) each other, Satan’s in there doing his Evil work. Always one to piss on a parade, Satan wants to ruin Christmas for everyone because he’s just so Evil. Santa does his best, but he needs your help in stopping Satan’s mischief this year. You gotta know where to look for Satan, because he’s a master of disguise. 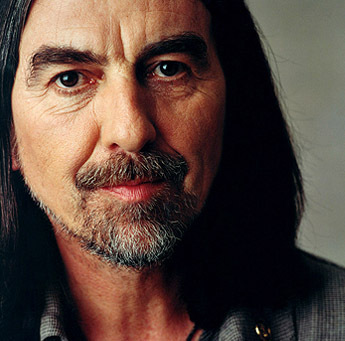 Nine years ago today, George Harrison died of cancer. It’s hard to believe he has been gone such a relatively short time – compared to John Lennon, who died in 1980 – but it seems his music has been with us forever. Try to imagine being in a rock band with the two greatest songwriters of all. The fact that George Harrison got his music onto Beatles records, and some of his songs are comparable to Lennon-McCartney’s, is a brilliant testimony to the man’s musical talent. And like his former bandmates, his solo career had peaks and valleys – perhaps maybe a little higher and lower than the other Beatles. December 8, the date of John Lennon’s murder, is burned onto our collective memories but let’s take a moment today to remember another great musician. 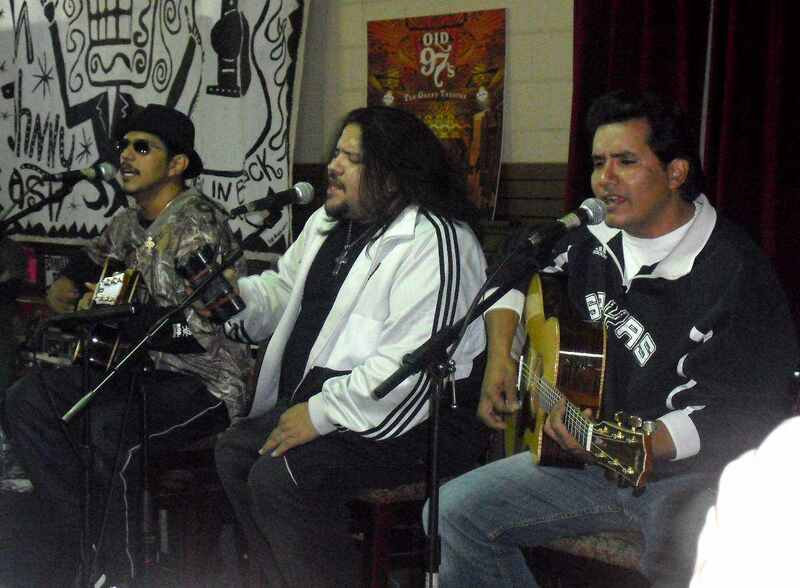 I can’t think of a better way to kick off the holidays than with some live music, and Saturday’s casual in-store performance by Los Lonely Boys at Houston’s Cactus Music and Record Ranch fit the bill. LLB, from San Angelo, have been kicking around since 1997 with a smooth blend of Tejano, country and soul, all topped with some fiery guitar work from elder brother Henry Garza. When they hit the little stage on Saturday, the (free) beer from St. Arnold Brewing Company was flowing and so was the good will. One knock on the Boys is that they are slow workers – they haven’t released many albums since their big breakthrough in 2004 and were working on only their fourth studio album for release this fall when Jojo encountered vocal cord troubles. But he sounded fine on Saturday, and let’s hope we can get more of their “Texican Rock and Roll” out into circulation soon. Their latest album is a live affair, titled Keep On Giving: Acoustic Live! and it features a couple guest appearances by Texas favorites Alejandro Escovedo and Carrie Rodriguez. 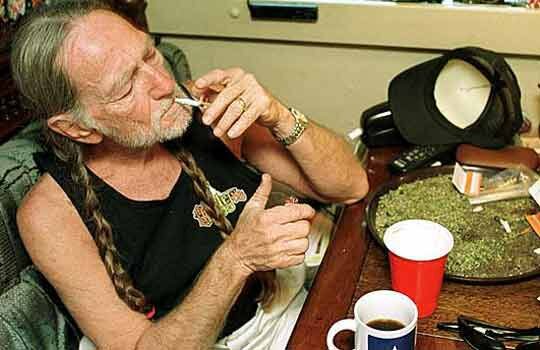 UPDATE: In the wake of his bust over the weekend, Willie Nelson has started a Facebook page for his Teapot party which has a mission of “Tax it, regulate it and legalize it.” Go Willie! The holiday season begins in a few days, and it’s going to be the same old blur of unnerving family members, unappetizing meals and unwanted gifts … and that’s just Black Friday! There are a couple more holidays in there someplace, so today we’re going to give you something to share – excerpts from some of our favorite comedy albums of the late 1960s-early 1970s! Now I can tell you these are fine to share with grandma and the kids, but I would be lying: in fact, these are EXTREMELY not safe for grandma, work or children. You will be warned again! In the 1960s, comedians reached their audiences in the night clubs but the bigger names were given recording contracts so they could cut albums of their material. 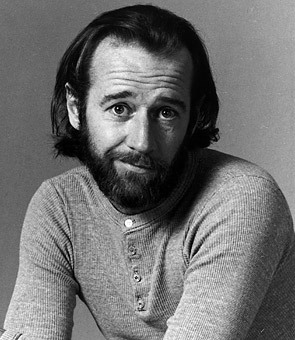 People like Allen Sherman, Bob Newhart, Bill Cosby and even Lenny Bruce and Woody Allen were all committed to vinyl, mostly performing the same stuff they did in stand-up. 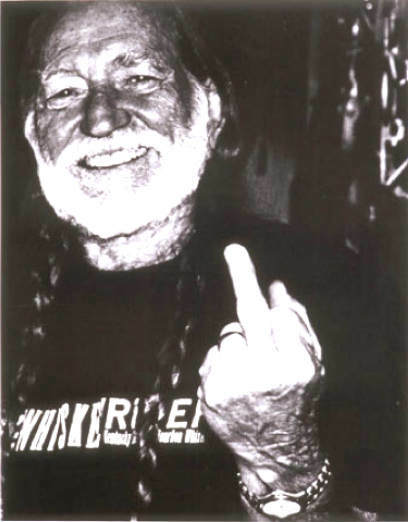 But with the onset of freakiness in the mid-60s came new comedians, reflecting counterculture sensibilities and a sense of social outrage against racism, war and modern times. 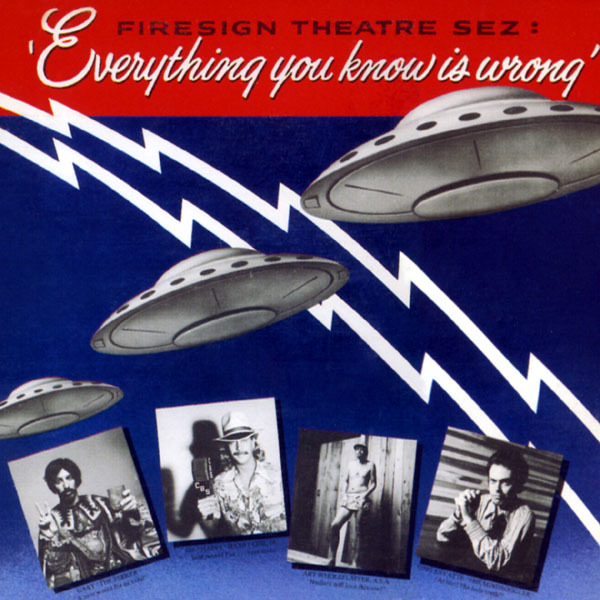 The Firesign Theatre came out of Los Angeles in 1966, and their comedy was a free-form blend of Lewis Carroll, James Joyce and Samuel Beckett swirled through a prism of LSD and pop culture. Their primary medium was the long-playing album, where the Firesigns’ could multi-track masterpieces of storytelling and comedy that hold up to repeated listenings. One of those masterpieces was Everything You Know Is Wrong (1974), a spoof of UFO/aliens mania that swings everything from late-night TV to New Age nudists and even Nazis into its paranoid gunsights. NOTE: NSFW material after the jump – proceed at your own risk! You are currently browsing the 30 Days Out blog archives for November, 2010.